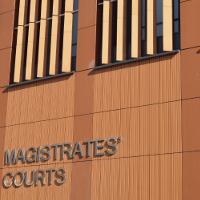 At Caernarfon Crown Court last Friday 9th November, Mark Pursglove (52) of Llanberis Road, Caernarfon was ordered to pay over £18,000 for his previous convictions including working without a Security Industry Authority (SIA) licence. The court heard that Pursglove is estimated to have earned over £66,000 from illegally operating a security business. The assets considered under the Proceeds of Crime Act included a family home and a Mercedes Benz. Mr Pursglove was ordered to pay £18,283 and the confiscation order states that he must pay the full amount within 3 months or face an 8-month prison sentence should he default on the payment. Pursglove was prosecuted twice by the SIA. In February 2016, he was in court for supplying unlicensed security guards. As a result, he lost his SIA licence and was therefore no longer able to legally operate as a director of a security company. “Ignoring our legislation and continuing to work having been prosecuted does not pay. Mark Pursglove is facing the consequences of such behaviour and he could lose his house as a result.